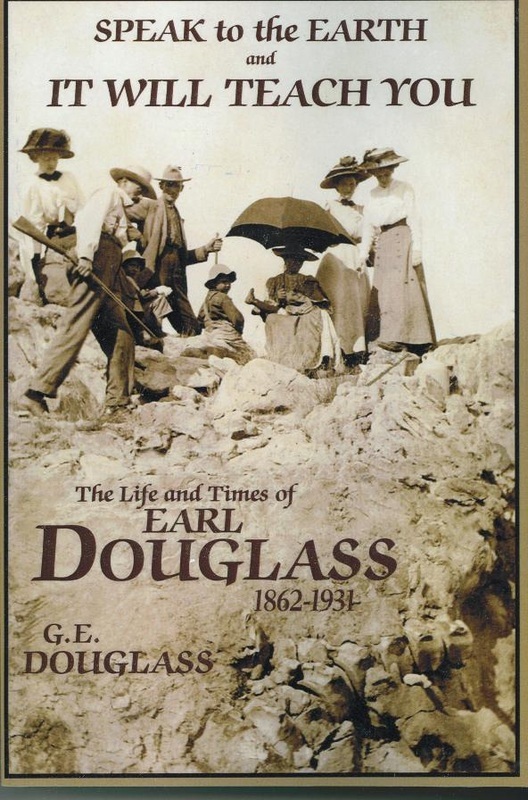 Gawin Earl Douglass (1908-1998) was the only child of Earl Dougass, a paleontologist and geologist who made an outstanding discovery of dinosaur bones in the early 1900's. Earl died when his son was only 22 years of age but he remained a part of Gawin's heart and mind for a lifetime. Gawin grew up, from the age of 18 months, in a tent camp, and later a log home, close to the site where his father made his original discovery. The quarry, near Jensen, Utah, later was set aside as Dinosaur National Monument. self-educated through books and the land. Later, he attended Salt Lakes City's East High School but his failure to hand in some papers for an English class prevented him from receiving a diploma. Formal education did not hold much esteem for Gawin; hence he never attempted to complete his high school education. He did however, learn much from his father about Geology and read extensively on the subject, which later enabled him to become a mining engineer. After his retirement from California gold-dredging company in 1960, Gawin began to go through his father's diaries and wrote his manuscript. The diaries and writing of Earl Douglass are cited extensively throughout and are the basis for this book.